My parents were record keepers. Especially my Dad, who worked for 30 years as an accountant for the State of North Dakota. Every time he filled the car with gas, he would write down the price per gallon, how many gallons purchased and the mileage on the car. In his retirement years, he kept a daily log comparing the temperatures in Bismarck with those in Phoenix, Arizona, where my parents had a winter home. I’ve always thought it was a little much, but I recently came across something that made me glad they kept track of things. 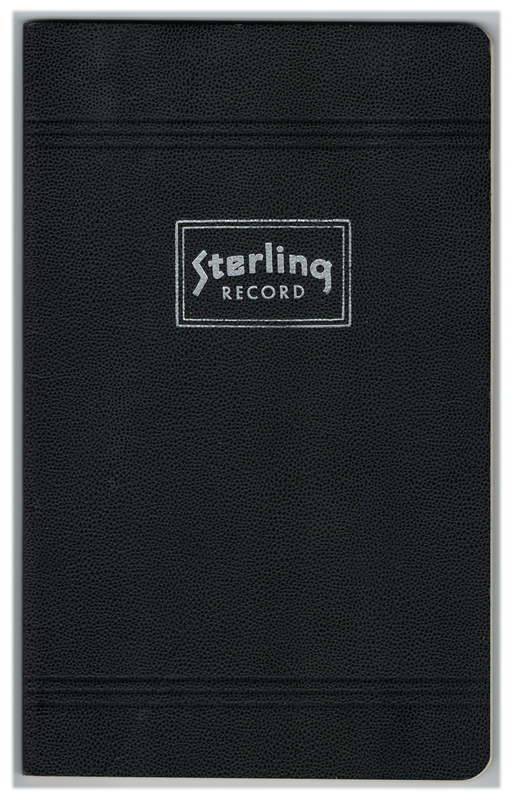 In a box of things I acquired after Dad died in 2008, I found a nondescript black record book. Though I had looked through these things before, the book somehow escaped my notice. 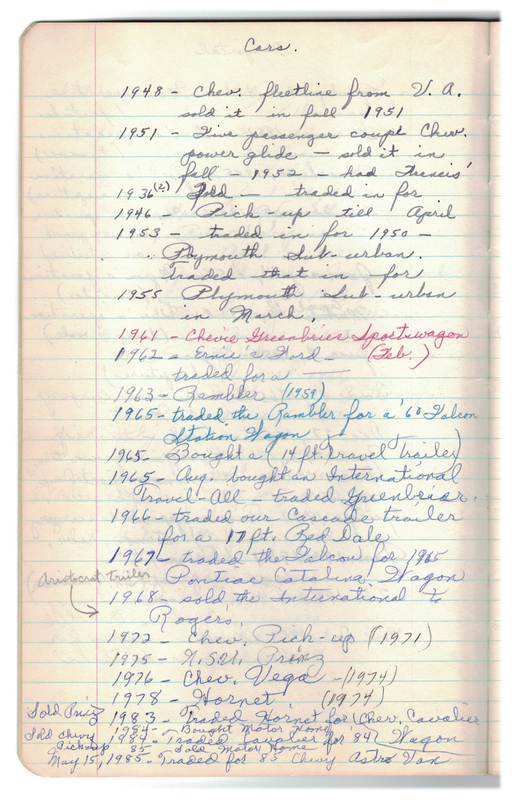 With the heading “Family Diary” at the top of the first page, the book contains lists of important dates – birthdays, weddings and deaths – as well as notes about where and when family vacations and weekend road trips were taken. One page details hospital visits. There’s even a list of when every kid in the family got eyeglasses! But the page that I’d like to highlight here is the page titled “Cars”, which is a list of every car bought, sold or traded by my parents going all the way back to 1948. I thought it would be fun to try to find photos of as many of these cars as I could, because for me, the inspiration for collecting toy cars goes back to the real cars that I was around when I was young. 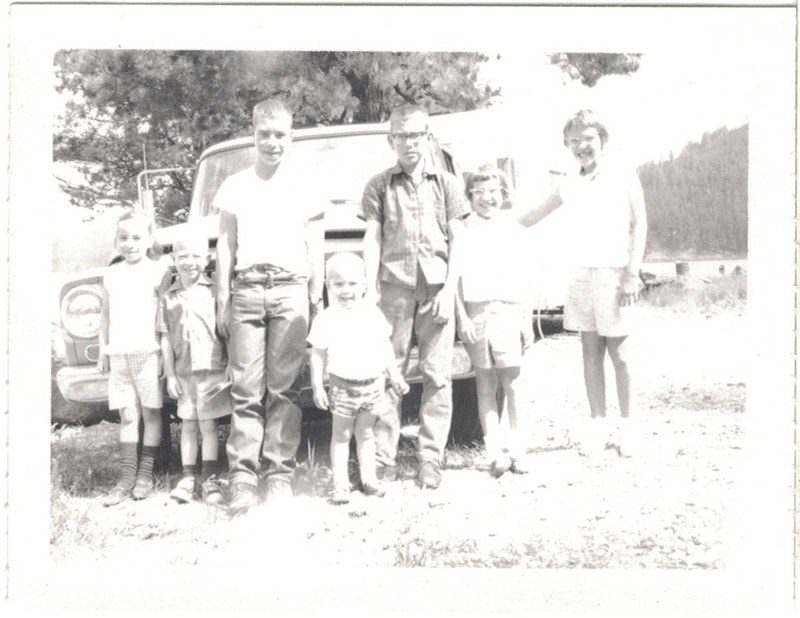 I am the youngest of 10 children and my dad loved to travel, so many of the vehicles my parents chose were big enough to haul all of us kids around while pulling a big trailer for us to camp in. 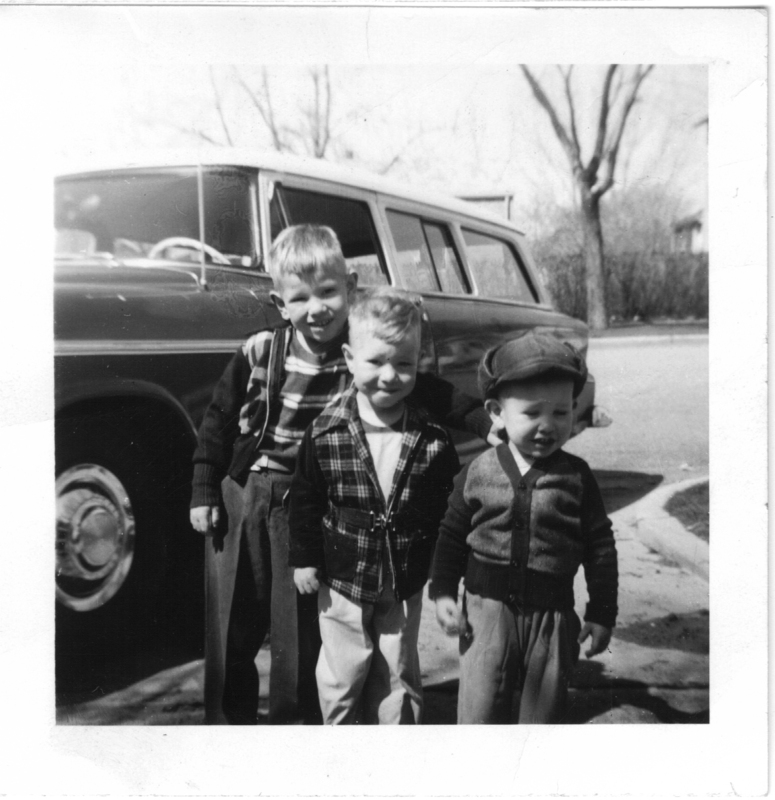 My brothers, Myron (left), and Ramon (right), with my dad, Donald, in front of the 1950 Plymouth Suburban. 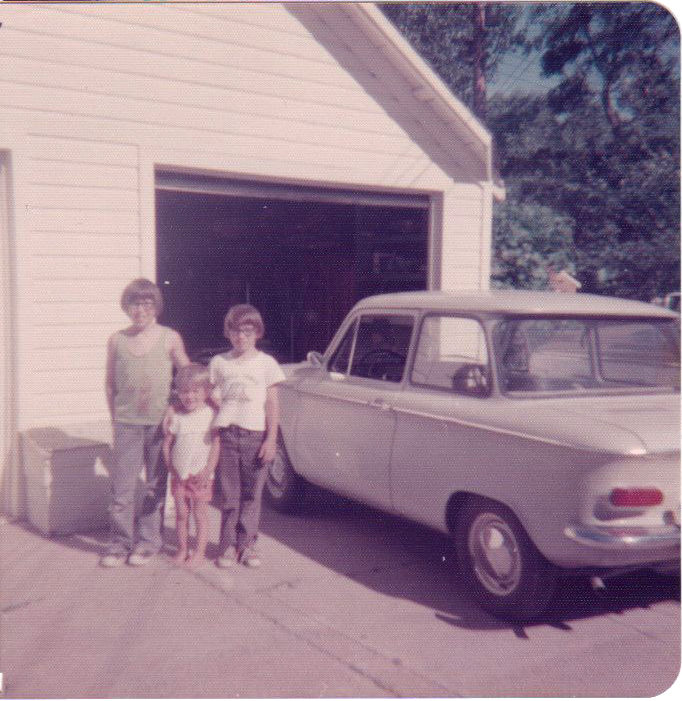 Brothers Ramon, Myron and Joel next to the 1960 Ford Falcon station wagon. 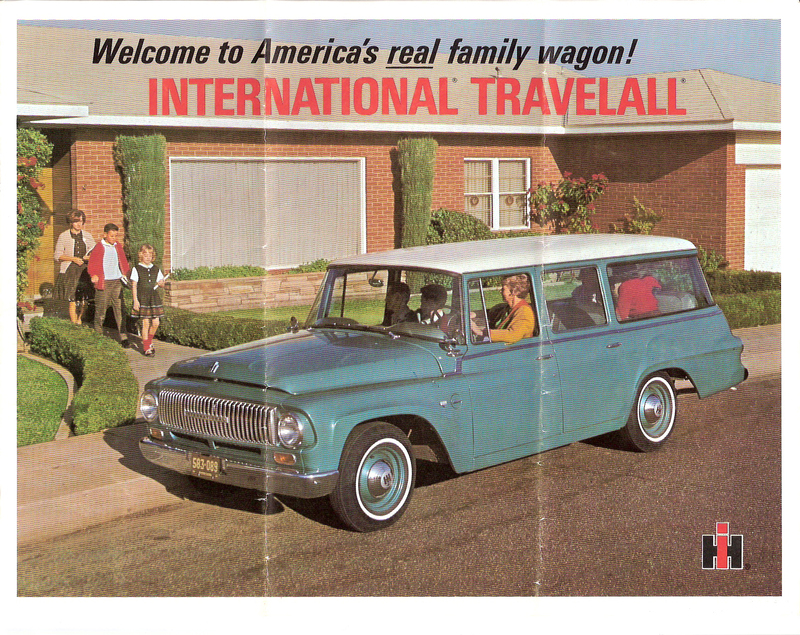 My siblings, Brenda, John, Myron, Tim, Joel, Patty and Carla in front of the 1965 International Travelall. Dad saved the brochure for his Travelall. 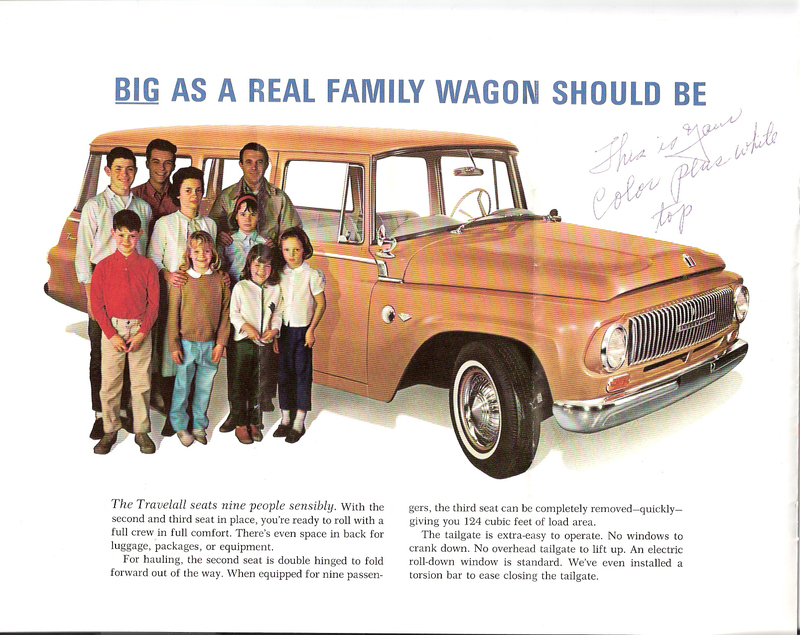 The Travelall brochure includes hand-written notes from the salesman. I was born in 1966. 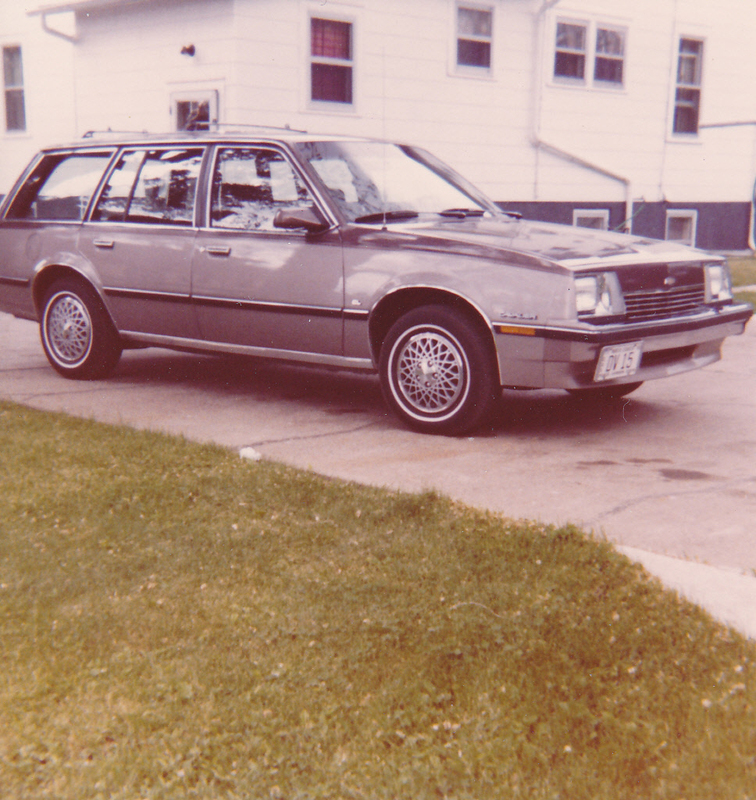 I have a very early memory of standing up between my dad and my mom on the front seat of our big Pontiac station wagon as we cruised down the highway on a road trip somewhere. If I could have any of these cars now, I would choose the Catalina wagon. 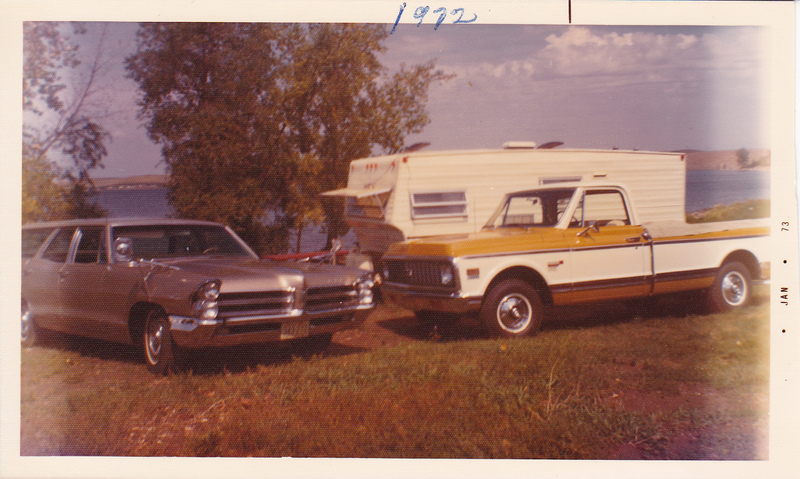 The 1965 Pontiac Catalina wagon with the 1971 Chevy Cheyenne Super pick-up, August, 1972, at Lake Tschida, N.D. The pick-up was new and didn’t yet have the camper shell. 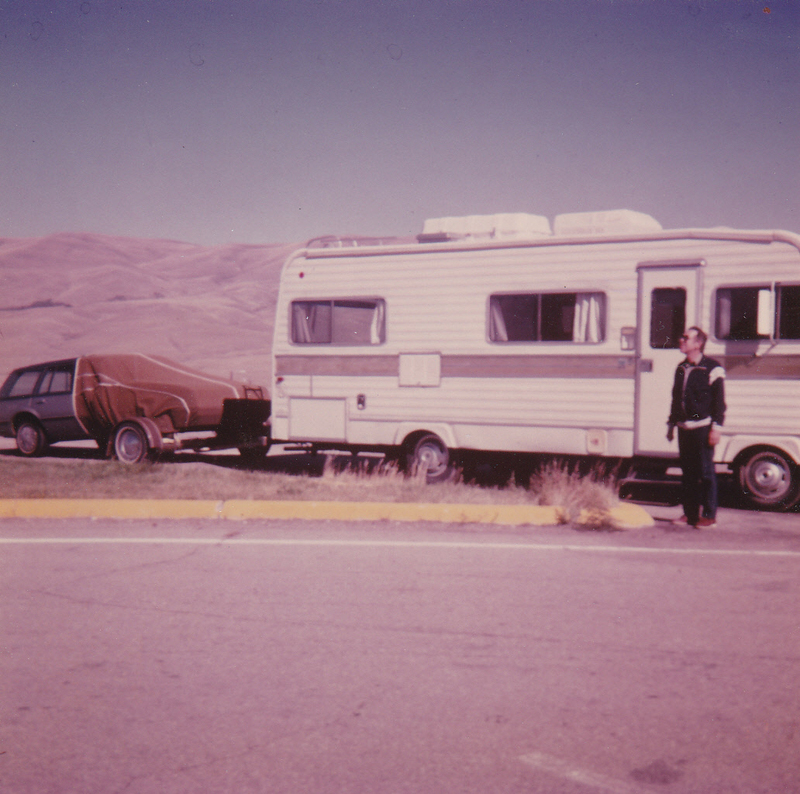 This is the camping rig that took me all around mostly the western U.S. when I was young. 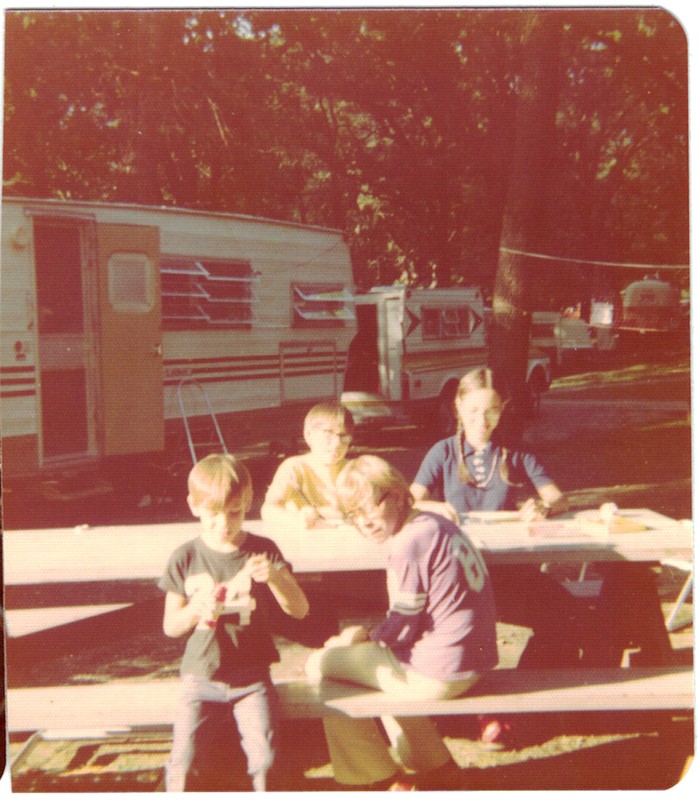 Myself, Tim, John, Brenda at Sibley Park, North Dakota, in 1974. 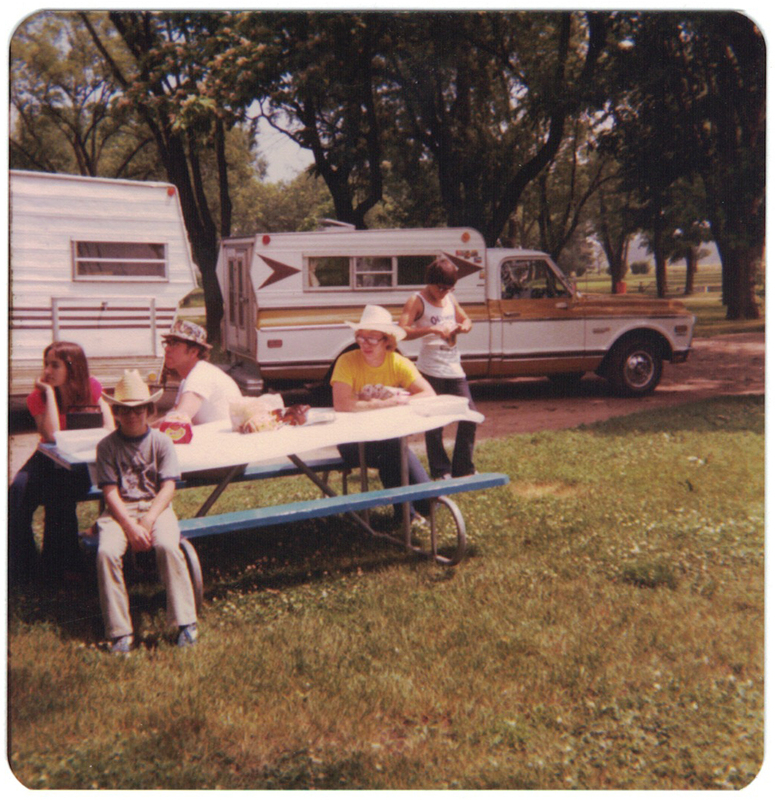 Brenda, me, Dad, John and Tim, camping in Hastings, Nebraska, City Park in 1978. A good shot of the Chevy pick-up with the camper shell. Tim, our niece, Kelly, myself and the N.S.U. Prinz 4 in front of our garage. 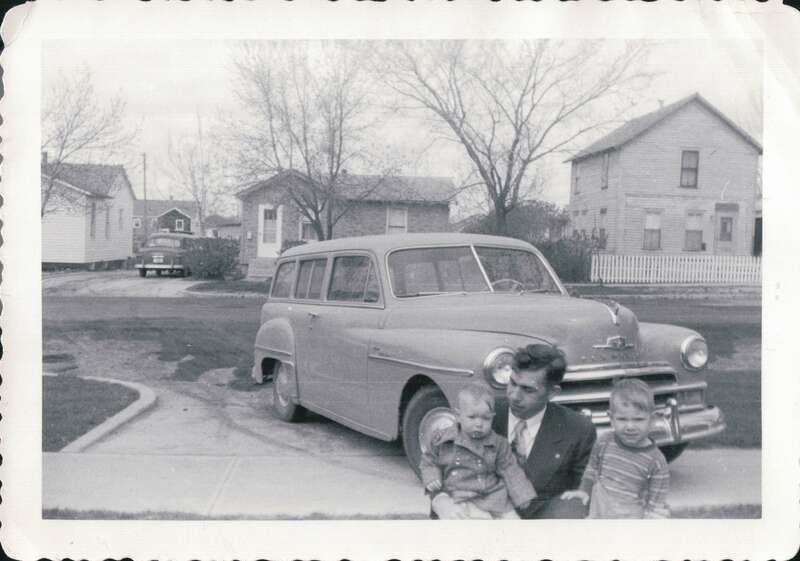 Dad would park the Prinz sideways at the very back, turning it into a three-car garage! 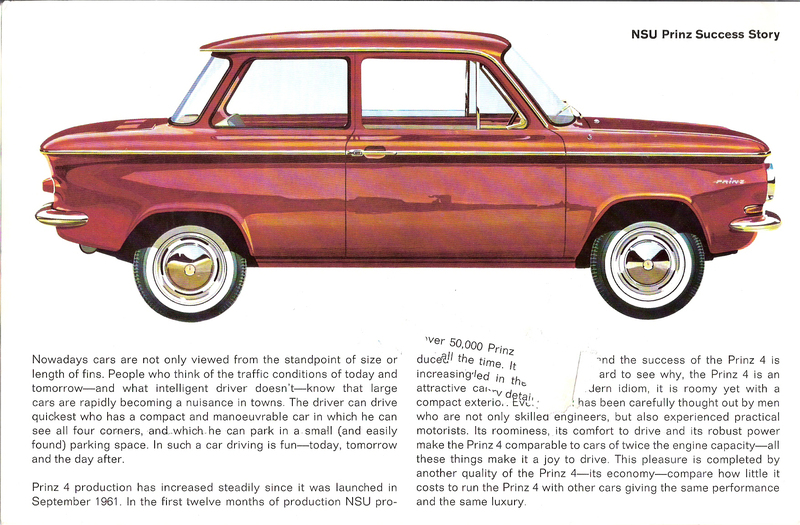 Dad also saved a brochure for the N.S.U. Prinz. 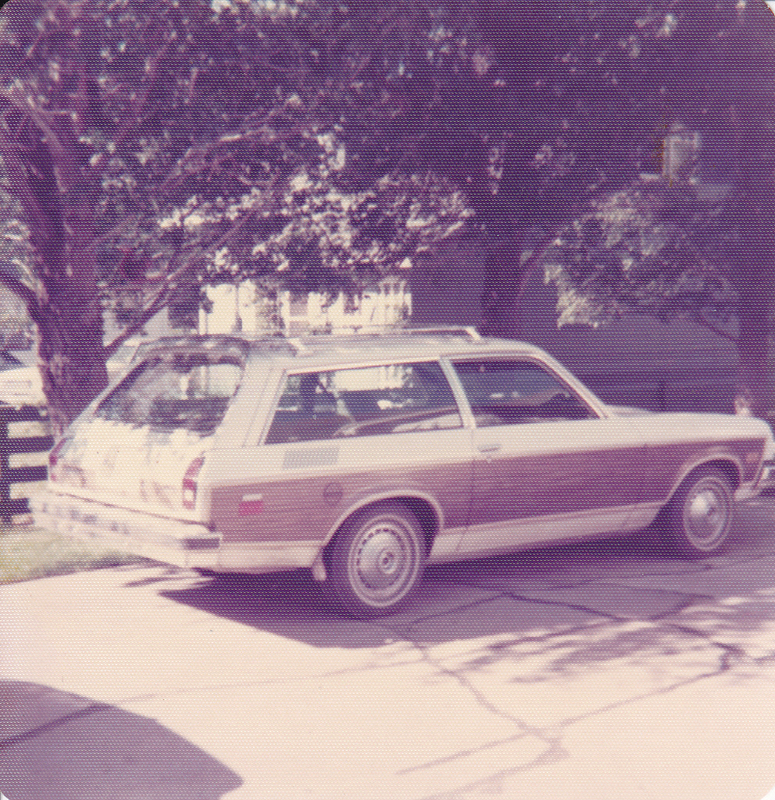 The 1974 Chevy Vega wagon. Yes, it was white with fake woodgrain panels! 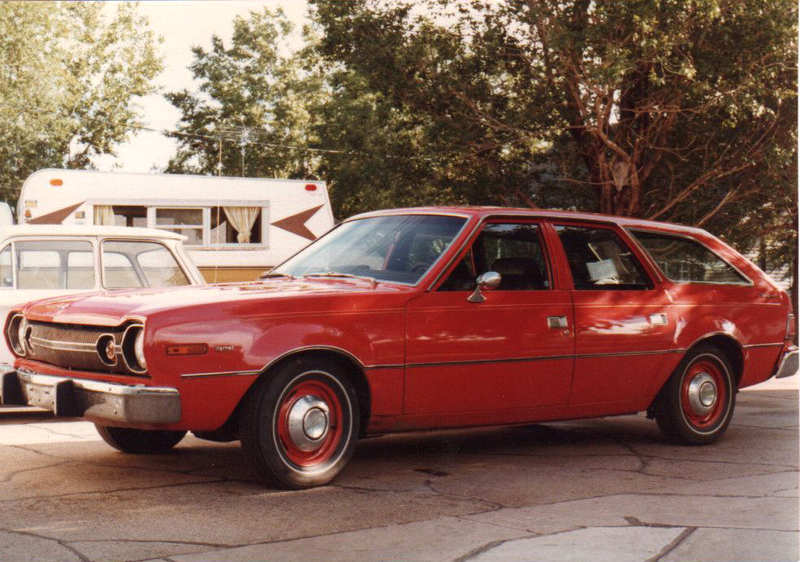 The red 1974 AMC Hornet, about 1978. 1983(?) Chevy Cavalier wagon. Much to my surprise, Dad let me borrow this car to drive myself and a friend and our dates to Senior Prom. Dad standing by the motorhome somewhere along the highway, about 1984. 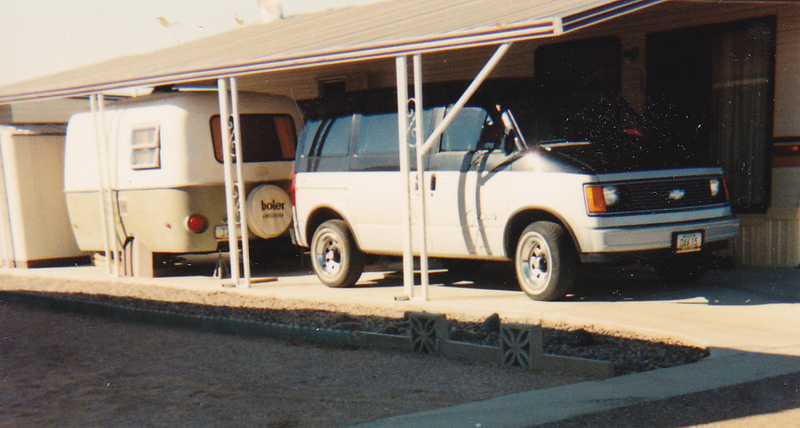 The 1985 Chevy Astro Van parked alongside my parent’s winter home in Tempe, Arizona. I rediscovered a box of military toys from my childhood a few years ago. 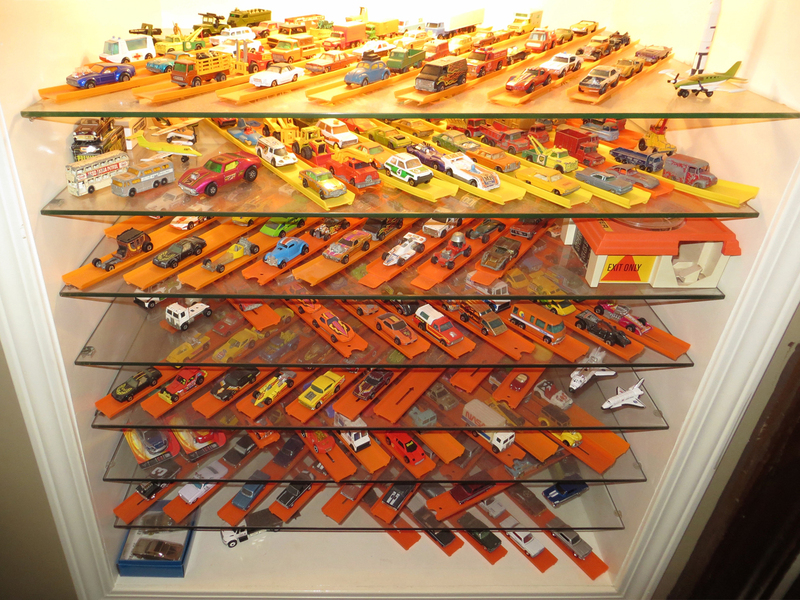 At the time, I was really excited to have found three super-clean, old Matchbox models. Recently, I was reminded by an online post of the series of M*A*S*H vehicles that I had in that box. The long-running TV show was – and still is – a favorite of mine. So I found the box again and this time I photographed everything in it. First a celebrated movie, then and still a wildly popular TV show, and now, a best-selling toy model series. 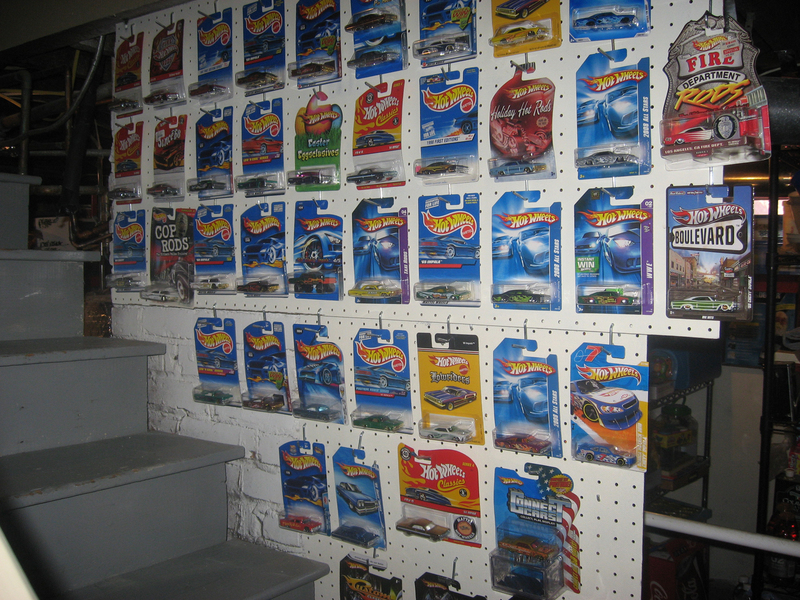 All vehicles of die-cast metal with plastic parts. Super play value features include folding blades on Supply Helicopter, removable plastic canopy on Ambulance Truck, folding windshield and detachable trailer on jeep. Detailed, durable, injection molded plastic Playsets are based on actual settings found in the M*A*S*H TV Series. 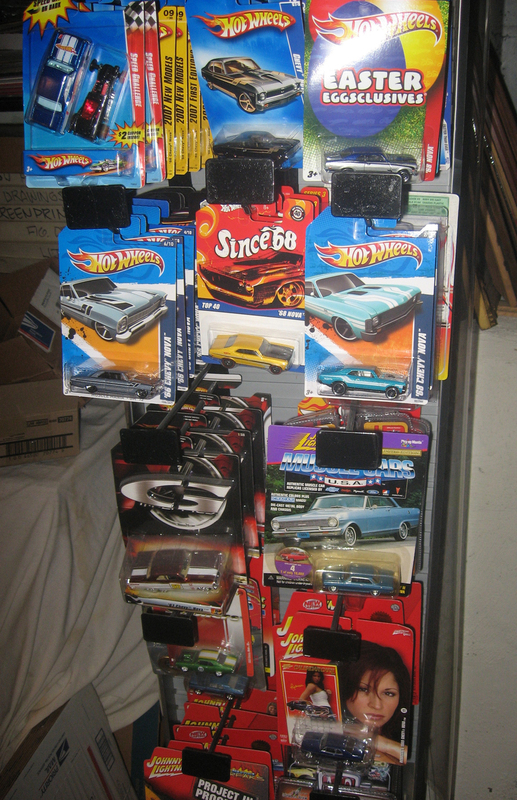 Combination of Vehicles and Playsets create a toy model series in constant demand. 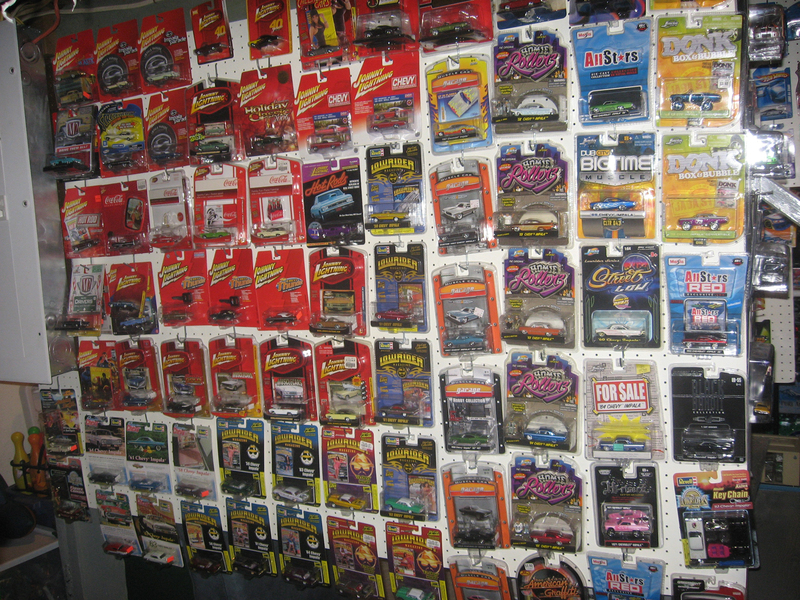 Blister pack assortment, plus a Floor Display of distinctive design. As you can see by the following photos, I have most of the series except for the Ambulance Truck and the Supply Helicopter. Rescue Copter and Helicopter Landing Pad Set. I also had to photograph the box that all of these items have been stored in for years. The plastic model is long gone, but the box has survived in surprisingly good shape. When my son was younger, he was all about Star Wars. He watched the movies repeatedly, amassed a huge pile of action figures, several board games and a few costumes. Then, for whatever reason, he moved on. The last time I brought my old Star Wars action figures up out of the basement, he was barely interested. But with the recent release of Star Wars: The Force Awakens, his interest in the franchise has been reawakened. His latest obsession is an iPad game in which he is collecting and trading Star Wars cards online. (Who remembers when trading cards were a tangible thing?) So when I heard him say his favorite character was Greedo, I reminded him that I have one of the original Greedo action figures. After that, it was all I heard about from him – “Dad, can we go look for Greedo?” – until I went down into the cold basement, pulled out my boxes of old toys, and dug through them to find my Star Wars action figures. In those days, they had an interesting design for the lightsabers, which could be extended by pushing them up through the character’s arm. Kenner was the toy company that had been licensed to produce toys for Star Wars, which hit theaters on Memorial Day weekend in 1977. Interestingly, Kenner didn’t even have the toys on the shelves until 1978. My Boba Fett was a mail-order figure. I remember it was advertised that his jet pack would fire a rocket, but by the time mine came in the mail, they had decided the firing rocket was a hazard and it was molded permanently into the jet pack. I understand the few that made it to market with the working rocket are fairly valuable. These first Star Wars figures are arguably the first modern action figures. By making the figures about 3 3/4″, Kenner was able to also produce ships and playsets to scale. Although I have a nice Star Wars tin that I had offered my son to store the figures, he commented that the box I had them stored in was “cool”. I had to explain to him what a cassette tape was. I put a fair amount of time and effort into trying to drive traffic to my blog. WordPress provides daily stats and I look at them regularly to try to determine what’s working and what’s not. Sometimes what I find there is not what I would expect. Yesterday, I noticed a couple of referrals that came from a website I did not recognize. I clicked on the link and found myself on a website called PaintRef.com. “Looking for automotive paint? What’s the name of a color? Remembering the first car you ever owned? These questions and more can be explored on PaintRef.com,” declares their homepage. So I gave it a try. It’s not the most attractive site around, but it’s easy to use and it houses an impressive collection of information, with a variety of ways to search. 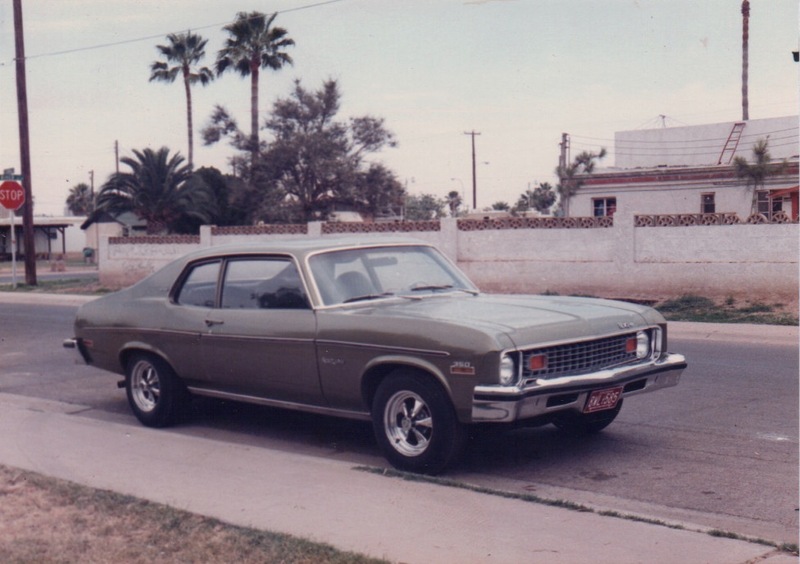 With a few clicks, I had the paint codes in a variety of brands for the Green Gold Metallic paint from my long gone 1973 Chevy Nova. Now, this is probably not exactly what the guys at PaintRef.com had in mind, but I appreciate the traffic however I can get it. So click on over to PaintRef.com and check out their impressive database – and tell them I sent you. 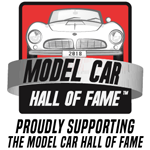 I recently rediscovered three cars from my childhood collection. They weren’t kept in my old race case, but were in a different box full of military toys that has gone unopened for several years. I think I bought these late in my childhood and didn’t play with them much, so all three are in pretty great shape. I even found the two little soldiers and the plastic base that came with the Field Gun. The only thing I’m missing is the plastic ammo that can be fired from the spring-loaded gun.